On Saturday, after returning from a short hike, I opened the front door and there was a package from my publisher. 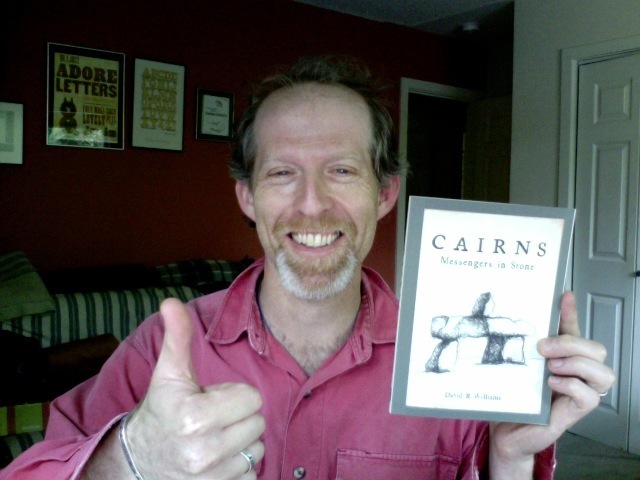 Inside was my new book, Cairns: Messengers in Stone. Pretty exciting to see it. I think it’s quite handsome and elegant. The drawings look better than I could have hoped and the layout is also nifty. It is smaller than I expected but has a nice feel to it. Certainly seems to me that it would make a fine present for most anyone! Stay tuned or go to my web site for more information on readings. I expect to see it number one on New York Times list. Previous Previous post: Why rock? Why stone? Next Next post: They’re here, there, and I hope everywhere!